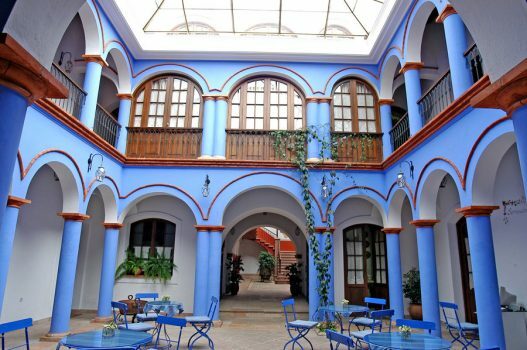 Conveniently located one block from Sucre’s Plaza de Armas and just 5 kilometres (3 miles) from the airport, Parador Santa Maria La Real is a beautiful colonial house that has been restored and adapted into a comfortable and charming 23 room hotel. 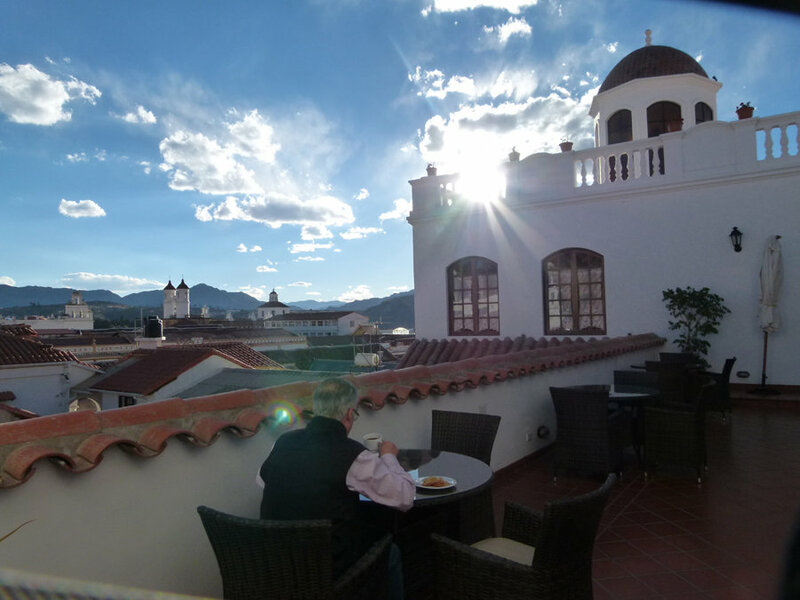 Preserving the traditional style and even some furniture of the original 18th-century home, Parador Santa Maria La Real features modern amenities like free Wi-Fi, a business center, television in the lobby, a gift shop and spa facilities. 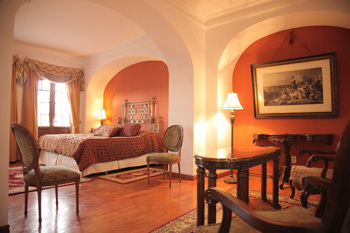 The luxuriously decorated rooms are outfitted with a work area and small salon, wooden furnishings and marble in the bathroom, as well as fine art and fabrics inspired by the colonial era. 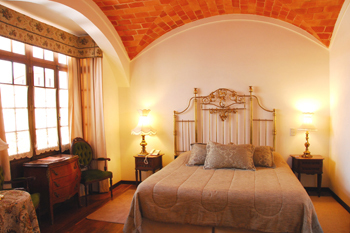 Master suites count with a Jacuzzi and separate shower while other rooms have a shower and bathtub. 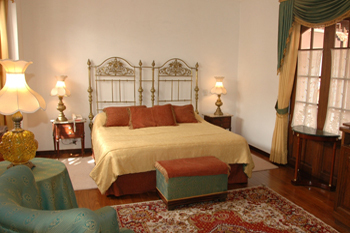 Guests can utilize services like laundry and dry cleaning, flight transport, room service, breakfast in bed and an American-style breakfast buffet. 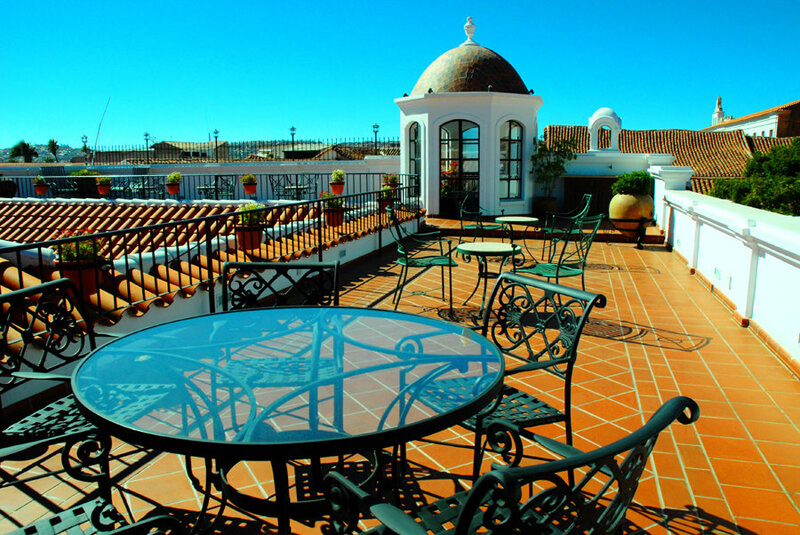 Additionally, guests can relax on the terrace that looks out on the churches of Sucre or explore the small museum featuring items discovered during the renovations. With its convenient location and old-world splendor, Parador Santa Maria La Real is an excellent choice for anyone spending time in Sucre.